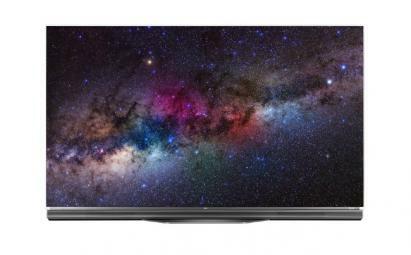 LG lowered the price of its high-end 2016 OLEDE6 OLED TVs - the 55" model costs $2,499 while the 65" model costs $3,999. That's about $1,000 lower than the price before. LG may be starting to lower the price of its 2016 models as it gets ready to release its newer 2017 OLED TVs. 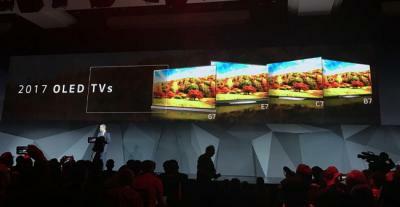 LG's OLEDE6 is a series of flat-panel 4K smart OLED TVs introduced in 2016. The TVs feature an ultra-slim on-glass design, a fixed soundbar, LG's webOS 3.0, Color Prime PRO technology and HDR. 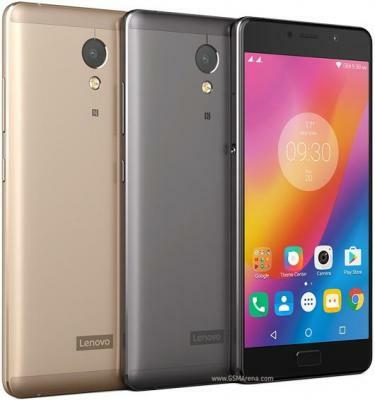 Lenovo's P2 is an Android smartphone that features a 5.5" FHD (401 PPI) Super AMOLED display, a snapdragon 625 CPU, 3/4GB of RAM and 32/64 GB of storage. The P2 is now shipping in China and India for around $250 (32GB model). LG Display reported an excellent Q4 2016, with the company's highest quarterly operating profit of $775 million USD. The main drivers for this profit were higher prices of large size LCD panels and a weak Korean Won rate (which also boosted Samsung's profits). LGD also updated on its OLED program. The E5 flexible AMOLED fab is expected to start production in Q3 2016 - which is a slight delay because LGD aimed to start production in the first half of 2016. China's Yeolight has opened an OLED lighting exhibition center, located in GU’an city Hebei province, China. Yeolight says that at 431 sqm, this is the largest OLED lighting gallery in China. Most of the OLED panels on display are produced by Yeolight, but some are made by LG Display. The exhibition center has six different "experience" areas that demonstrate a range of OLED installations, including commercial lighting, interior lighting and automotive lighting. The center also includes explanations of OLED lighting technology and fabrication processes. 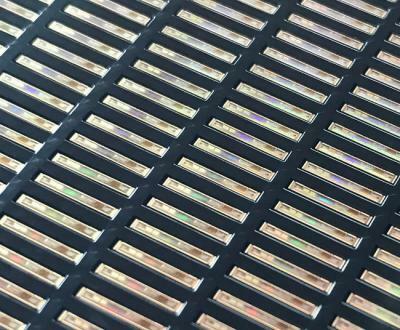 Solomon Systech announced that it has shipped over 200 million units of its SSD1306 PMOLED driver. The company believes that this is the best selling OLED driver ever. The SSD1306 has been introduced in 2008 and is (according to Solomon Systech) the de-facto PMOLED module design standard. Solomon Systech says that is has a market share of over 50% of the global PMOLED display driver IC market. The SSD1306 is the world's first OLED driver IC with built-in charge pump, which means that external DC / DC converter and associated passive components are no longer necessary. The SSD1306 also features programmable frame rate and multiplexing ratio, as well as screen saving continuous scrolling function in both horizontal and vertical direction which enables smooth content display. It can connect to different MCU interfaces, including I2C, 8-bit 6800/8080-series parallel interface, 3/4-wire serial peripheral interface and more. According to the OLED Association, BOE Technology's first 6-Gen OLED fab in Chengdu, which BOE started constructing in May 2015, is on track to begin production in the 2nd half of 2017 (later than first estimates, but earlier than the revised ones). Production capacity will be 45,000 glass substrates. BOE will invest a total of $3 billion USD in this new fab, but part of that is funded by Chengdu's High-Tech Industrial Development Zone. The new fab follow BOE's current 4.5-Gen pilot line that is already producing AMOLED displays. Despite the huge Galaxy Note 7 recall, Samsung Electronics announced an excellent quarterly report for Q4 2016. The company's operating profits were $7.9 billion - 50% higher than Q4 2015, and the company's highest profits in over three years. The main drivers of Samsung's earnings were good chip and display sales - combined with a weak Korean Won rate. The Galaxy S7 and S7 Edge (and other mobile phones) enjoyed solid sales as well. The ZenFone AR will be (according to Asus) the world's first Tango-enabled and Google Daydream ready phone. This Android 7 smartphone features a 5.7" WQHD (1440x2560, 515 PPI) Super AMOLED display, a Snapdragon 821 CPU optimized for Tango, 4/8GB of RAM, 32/64/128/256 GB of storage, a 23 MP camera and Dual-SIM. 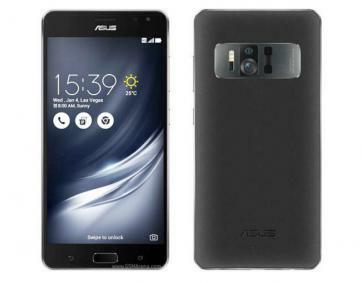 The ZenFone AR was announced in January 2017, but Asus did not reveal the release date or any pricing information. HiSense's A2 is a dual-screen smartphone that features a 5.5" FHD AMOLED screen on the front and a 5.2" 960x540 E Ink screen on the back side. Other features include Android 6.0, 1.4Ghz octa-core CPU, 3/4GB of RAM, 32/64 GB of storage, finger print sensor, a microSD slot and Dual-SIM. 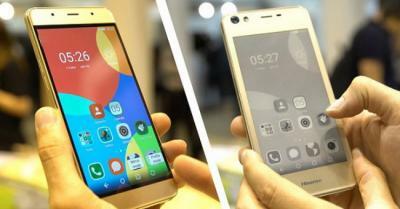 The A2 was launched in January 2017, but HiSense did not yet reveal the release date or price of this new phone. ALD equipment maker Encapsulix announced that a leading Asian AMOLED manufacturer has chosen its ALD-TFE deposition systems, to be used as flexible AMOLED encapsulation. The first tool is already under construction and will start operating in the spring of 2017. Encapsulix says that the order was awarded following an extensive evaluation of available ALD platforms, and this confirms the technological superiority and leading cost-of-ownership of the company's ALD-TFE equipment.